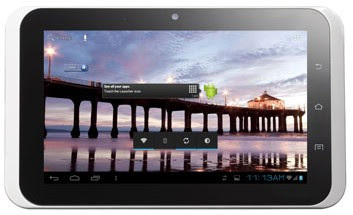 New 3G Android tablet is being introduced in the market by HCL named HCL ME Y2. HCL ME Tablet Y2 has inbuilt 3G facility using which video calling can be done and a separate SIM card slot is available for that. It is built with a 7 inches IPS touchscreen display @1024 x 600 pixels resolution and weighs just about 368 grams. This ME Y2 tablet comes with Android 4.0 OS 1GB RAM, Cortex A9 (1Ghz processor), Mali 400 GPU, 8 GB internal memory, Micro SD card expandable upto 32GB, rear side 2 Megapixel camera and front facing 0.3 Megapixel VGA camera. HDMI will work with mini USB port facility. Applications can be downloaded from the HCL extending ‘ME App Store’.